I wake very early today, not quite, I wake about 6am and run to the bathroom and take a cold shower. A bit dizzy, probably I’m still under pressure with the tyre last night. I sms to William and asked if he could let me a lift to depot after I send up the car to SK Tyre, mile 7, Jln Tuaran, Inanam (my previous workplace and favourite service centre ever). He’s agreed and I straight away heading to the shop. I trust them so I just left my car with them and told them that I will take it after office hour. 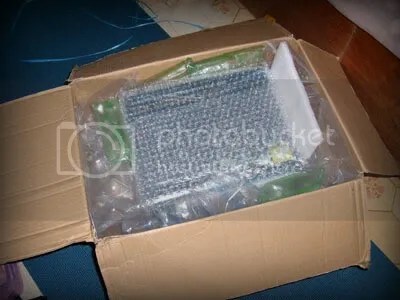 Arrived depot, I have planned what to do today since last night, so less stress than before. I finished all my important task of the day. I have been waiting my “long waiting dilemmas” today. This took me a long breath to open.. Guess what, my dream come true! 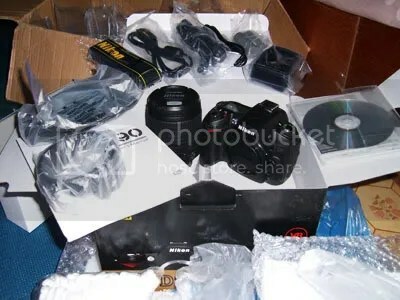 I am the next owner of Nikon D90! Wihuuu! Thanks to my best business partner. Without you, I won’t be happy like now. You know who you are. Yes, it’s a gift from heaven. 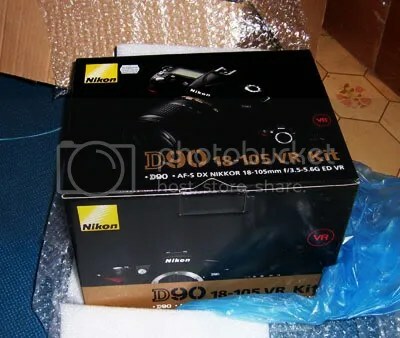 🙂 Just enjoy the picture of my new baby born Nikon D90 comes away from Shashinki.Com. Owh, I forgot, my car siap sudah kena service, and it cost me only RM103.75 with the service of Change Oil Engine, filter, Wheel Alignment, and other services. And I found RM50 cash! Tak percaye? Ask Isa.. Hehe.. I plan to leave the money, but probably it Just My Luck.. 😉 Thanks be to God..
How I wish my dad can see this..
hahahha.. isa.. semua salah kamu ni.. the dark side..
waaaaaaaaaaaahhhhhhhhh…veralyn, ko pun finally got your own DSLR.. uish, nda buli jadi nih.. kekekeke.. Welcome to the club!!! 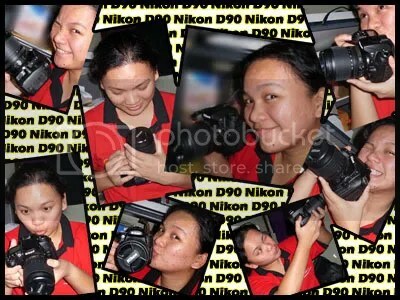 Wakakaka… although i am not a NIKON user (more to CANON lah) tapi it’s great to have a new fren, owing her own dSLR!!!! Yeah Congrats!! !Sia pun ikut si isa… sia nda bertanggungjawap keatas ‘pemilikan’ sebuah D90 anda… Wakakakaka… buli lah outing ramai-ramai ni ambil gambar!!! Yeah!!! bah.. corn.. capat ko ambil SLR.. ekekeke.. trus outing ramai ramai.. hehehe.. mark.. kamurang mesti bertanggungjawab!! !